This is the fourth story in Season 9. 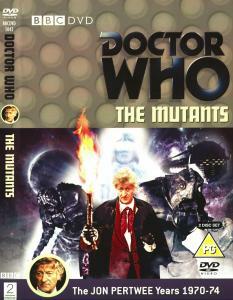 The Third Doctor has white hair, a large nose, and tends to dress as a society dandy. He has a love of technology, historical name-dropping, and vehicles. In The War Games the Doctor's people (the Time Lords) sentenced him to exile on Earth. In Spearhead from Space, he was appointed as scientific advisor to UNIT. Whilst he is still confined to Earth, the Time Lords have twice before sent him and his TARDIS off on missions to other times and places. Josephine "Jo" Grant is the Doctor's assistant at UNIT. She failed General Science A Level, but has had training in escapology, cryptology, and explosives. She has accompanied the Doctor the two times he has been sent offworld by the Time Lords.